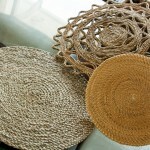 Natural Sabai grass mat. 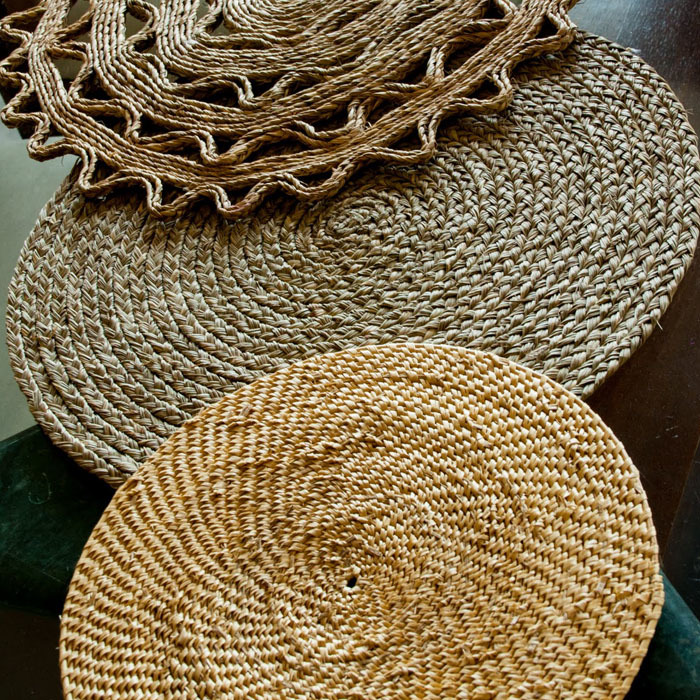 Sabai grass ropes are woen n made into these scallop mats. 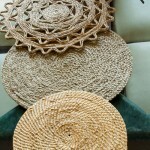 Used as place ma..
Cane and bamboo woven mat, can be used on dining tables or to place various objects on it. 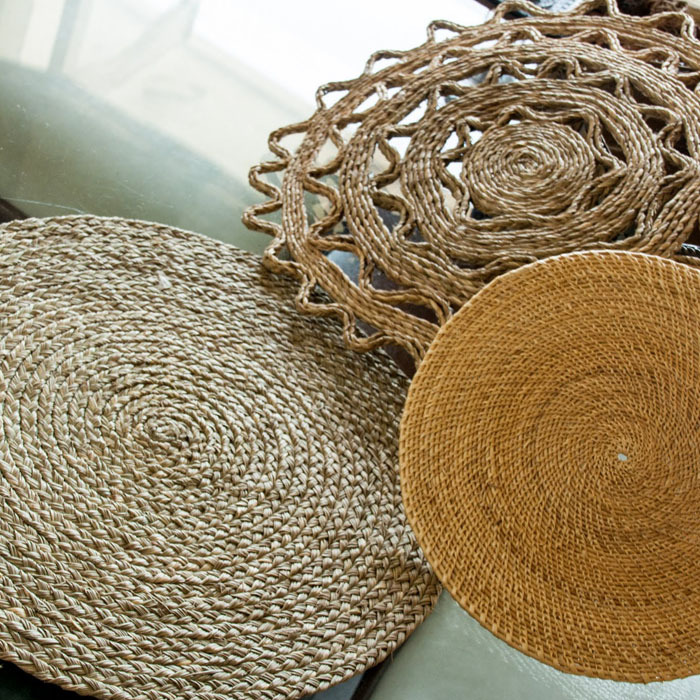 Stur..
Natural Sabai grass mat. Sabai grass ropes are woen n made into these scallop mats. 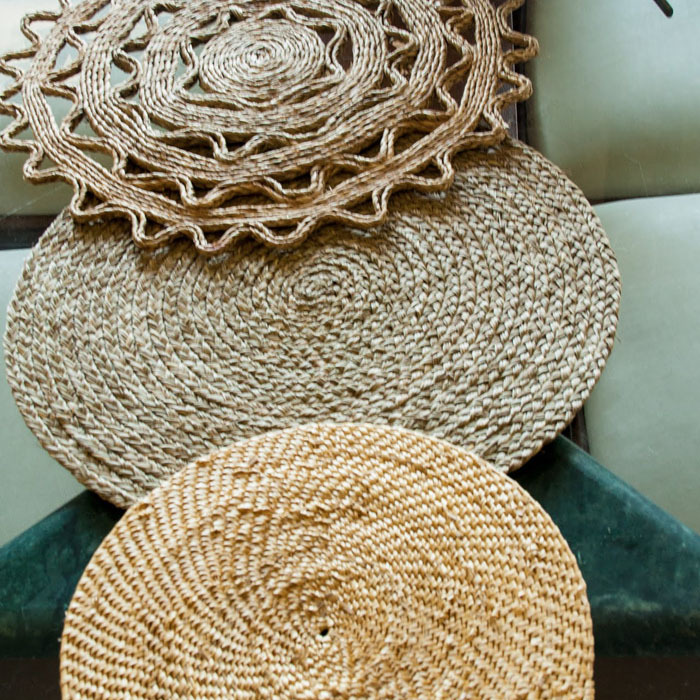 Used as place mats or plate mat.